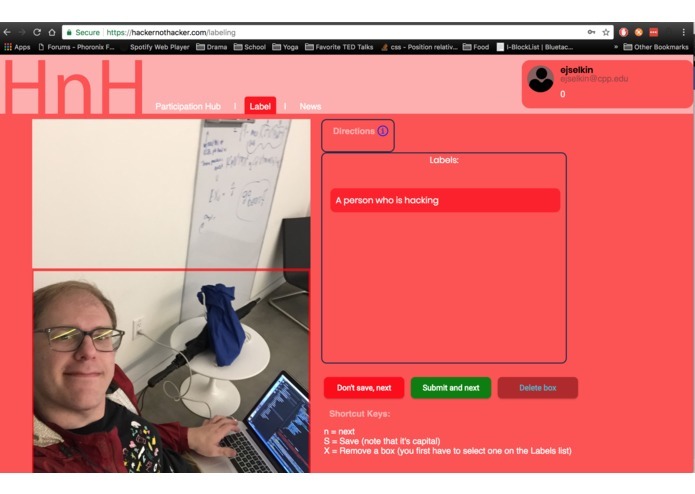 A way to build community labeled datasets for supervised learning. Inspired by zooniverse as a way for community to participate in building the best datasets for the future needs of machine learning. It does what zooniverse does not! 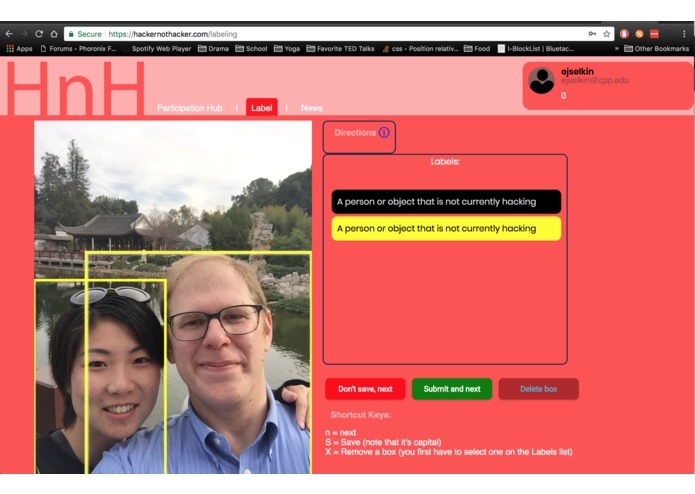 It allows multiple users to simultaneously add localized (positioned) bounding boxes around objects (or people in this case). It allows for configurable labels (just place in your set of labels with your custom colors and you can start labeling photos). The backend allows users to upload images, retrieve images, attach classification/object localizations to images, and retrieve those classifications. I'm just one person and I'm very slow at designing sites. I think this will be a useful tool that organizations could rely on once it is more resilient. Everyone will need better datasets with special labels. Supervised learning is still an extremely valuable tool and the data is paramount. Canvas is tricky, but Konva is a nice library. Mongo Atlas is a very nice free service for development since it is available in many of AWS' regions.